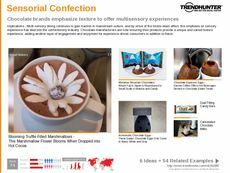 Find Better Ideas, Faster ® with a custom chocolate branding trend report, our PRO Dashboard and 80+ categories of premium trend reports. 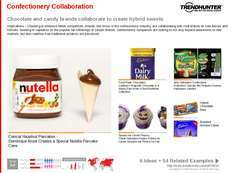 The Chocolate Branding Trend Report examines the wrappers, boxes and ad campaigns associated with chocolate bars, truffles and candies. 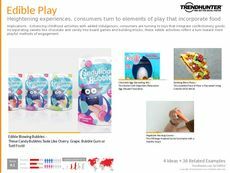 The packaging of chocolates can target different demographics, like sophisticated upscale truffle boxes aimed at Boomers, while young, colorful chocolate bar wrappers are aimed at Gen Z members. We explore health-branded treats as well as those packed with protein. We also look at holiday-branded chocolates specifically designed to celebrate holidays like Christmas and Halloween. This report is ideal for brand managers whose job it is to launch new chocolate products, providing creative ideas and examples for how to brand and market these offerings to a target demographic. 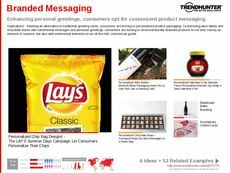 Marketing teams as well as packaging designers will also get insight into ways to reinvent an existing product. 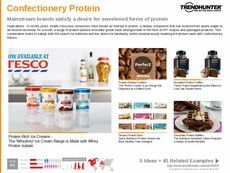 The Chocolate Branding Trend Report showcases the branding strategies that are used to market chocolate bars, chocolate-covered snacks and truffles among other confections.